Tablets are the new craze and one best perfect technology solution for the students, undoubtedly. The tablet craze was brought to the market through its iPad which was a 10 inch tablet, and since then this craze has never stopped. People are now more comfortable carrying a tablet rather than a laptop, unless someone really needs one. They are easier to carry, and if you are a student or love reading books then these devices are perfect companions to take with you to your institute. Reading, writing, and entertainment purposes – the tablets are good at pretty much everything. iPad, the 10 and 7.9 inch slates are good options as tablets but we will cover 3 android tablets of different screen sizes. Different size caters different type of people, but which size would be your perfect companion? Let’s see. Google’s hot favorite tablet from the manufacturer Asus; this device was the first device to have Android Jelly Bean. This 7 inch tablet is pure awesomeness if you consider the price tag which starts from $199 for the 16 GB Wi-Fi only. Asus has built a really nice device, it’s sleek, small and light! The screen is only 7 inches which makes it easier to carry especially when you are travelling or reading a book. Ebooks are more readable on this tablet because of the book like size, and the IPS display provides a pretty good viewing angle. The 1280×800 resolution screen has much more to offer you, and the higher pixel density would make sure that you never complain about the device not having crisp display. Samsung released its 8 inch version of the popular Galaxy Note series, and like its predecessors – this one also has an S-pen. The pen is mightier than the sword – you have always heard that. But is it so? Yes, it is. The S-pen is a real pen, a digital pen; not a stylus. You can write, you can draw, you can highlight, and last but not the least; you can also use just like a stylus. This device is equipped with Samsung’s own Exynos chipset and Cortex A9 quad core processor along with a 2 GB RAM. This configuration is built for performance! The screen resolution is the same 1280×800 pixels offering high pixel density. And as this is a Note device, this device offers calling facilities. The tablet looks like a huge phone with traditional earpiece on top; you can just hold it to your ears and talk like you would on a phone. But it is recommended to use a Bluetooth headphone. The 5 megapixel rear and 1.3 megapixel front cameras serve their purpose just right. This device is perfect for business executives who would like to use it both as a phone and a tablet. And this is the newest addition to Samsung Galaxy Tab lineup, the tab 3 series has just arrived. And Samsung has brought a slight change in their device design, this tablet now looks like a Note 8 but in 10 inch form factor and the buttons placed in the landscape orientation. The surprising thing is, Samsung has now used an Intel Atom 1.6 GHz dual core processor in this tablet instead of their TI OMAP or Cortex A9 processors. 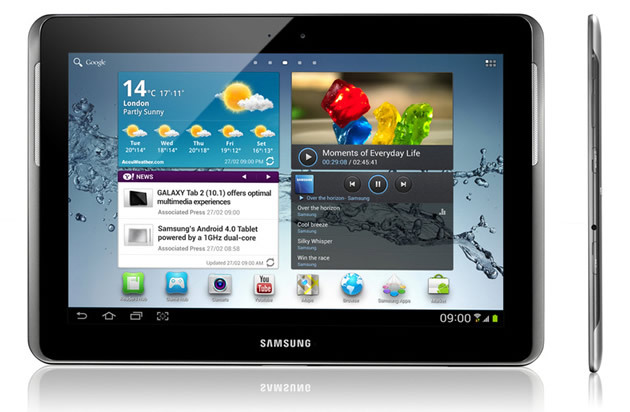 And the rest of the configuration is much like the predecessor Galaxy Tab 2 device. This is not the fastest device you would find in the market, but definitely faster than many other and could become a very well entertainment partner if you like watching movies on the move. Hope you could find your perfect tablet companion. Let the fun begin! Mohsinali Sunasara is Co-Founder at Waroze.com which gives best offers on tablets in india.